Tis’ the season to be merry… and eat fudge. Let’s face it, even though fudge is something you can enjoy 365 days a year, we only want to splurge on it during the holidays. Am I right? I’m fairly certain that you will make friends for life if you give these decadent treats out this holiday season. Line an 8 x 8 inch baking pan with parchment paper, grease it and set it aside. In a medium saucepan, on Low heat, heat the semi-sweet chocolate chips, sweetened condensed milk, and salt until everything is melted. Remove the pot from the heat and stir in the vanilla extract. Gently mix in the chopped pecans. Spread the warm chocolate mixture in the prepared pan evenly. Chill it for about 2 hours or until it’s firm. Remove it from the pan by lifting the edges of parchment paper. Cut it into squares. I cut them into very small pieces because it is very rich, but feel free to make bigger if you desire. Here are some other delectable chocolate treats. 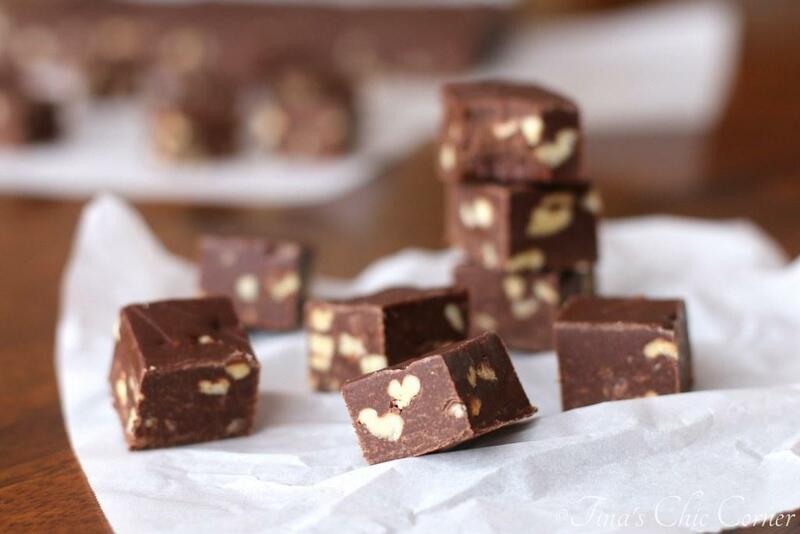 I adore fudge and this with pecans looks divine! Love fudge during the holidays! So rich, creamy and delish! 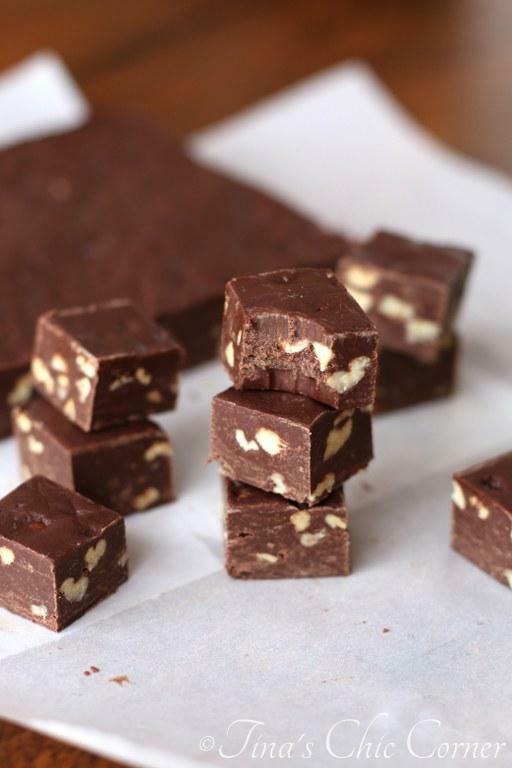 I love fudge, but never tried it with pecans , feels like I’m missing out! Pinned! 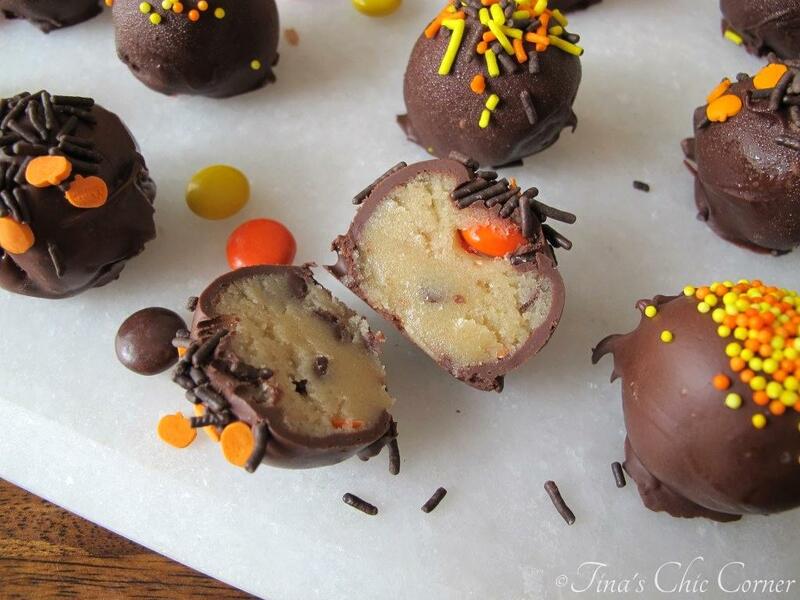 Wow, this really is so easy, Tina … I honestly didn’t know fudge was so easy to make. I don’t like the idea of using a thermometre either. This is much more up my street! That fudge looks amazing! And so quick and easy too. Need to try that one! I am a sucker for fudge especially during the holidays! This looks so rich and delicious! I love the pecans in here! Your fudge looks perfect! I love making the easier version with delicious sweetened condense milk. I love nuts and I think it’s just the thing to balance the sweetness. I’ll take pecans in my fudge, thank you! This fudge looks perfect and would make lovely gifts! 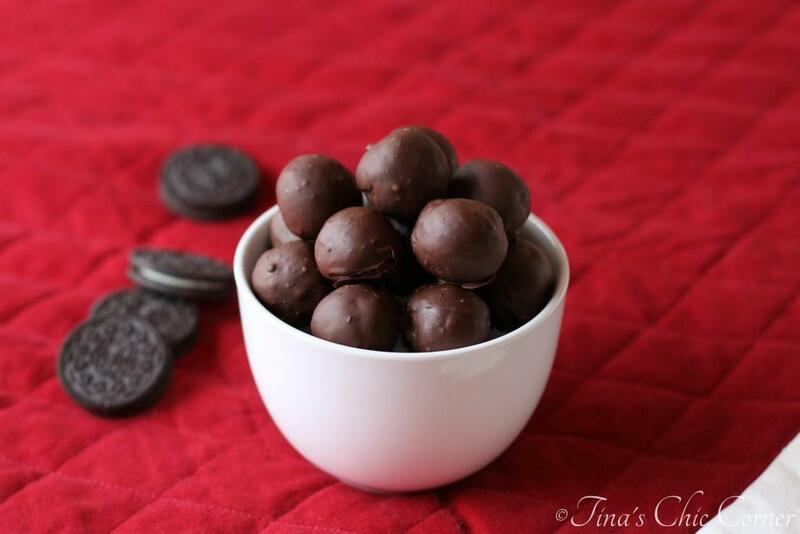 Thank you, Tina, for this fabulous (and easy – yay!) recipe! 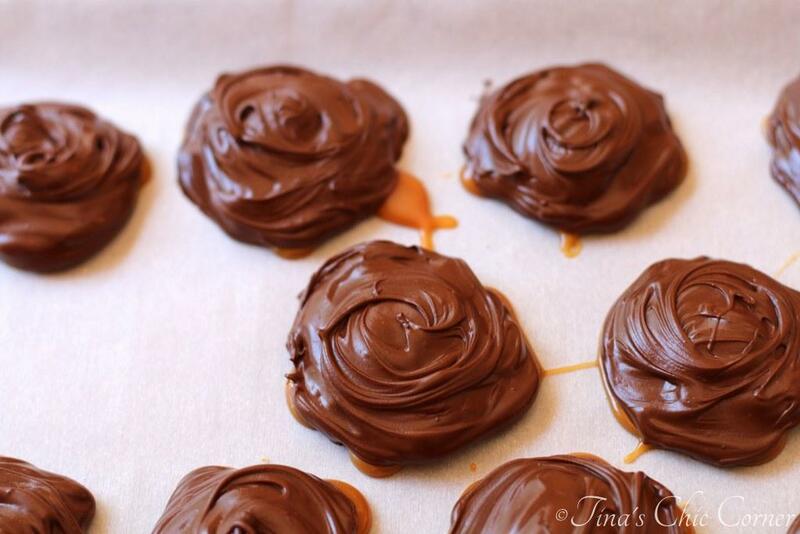 I am so excited to whip up a batch of this when I get home from college! I never make fudge normally, but finally got around to it this year and really liked it! Plus it’s so easy, and like you said — minimal ingredients. 🙂 This is the way I love fudge — extra chocolatey with nuts! Pinned. We never make fudge any other time of year either. It’s a shame! Although probably my floppy arms would disagree. lol!! Love the pecans! Oh my! I’ve never made fudge and now I’m thinking it’s time!! Looks incredible!! This was my first try at making fudge and I’m hooked!